Reflecting the solid bipartisan support for building US-India relationship, the US House of Representatives Friday passed a key measure calling for expansion of US-India defence cooperation. In addition to urging an overall expansion in defence ties, an amendment to the FY2016 National Defence Authorisation Act (NDAA) specifically calls for the US to welcome the role India plays in providing security and stability in the Indo-Pacific region and beyond. The amendment was offered by Ed Royce, Republican chairman of the House Foreign Affairs Committee, its top Democratic member Eliot Engel, Democrat Ami Bera and George Holding, co-chairs of the Congressional Caucus on India and Indian Americans and Democrat Joe Crowley, vice chair of the Democratic Caucus. The measure also wants the US to work cooperatively with India on matters relating to common defence, vigorously support the implementation of the US-India Defence Framework Agreement, as well as support the India Defence Trade and Technology Initiative (DTTI). This was the first vote held by the House on US-India relations since the 2014 Indian elections, and comes on the heels of the defence framework advanced by President Barack Obama and Prime Minister Narendra Modi in January. “As the world’s oldest democracy and the world’s largest democracy, the United States and India are natural allies,” said Bera, the lone Indian-American member of US Congress. “One of the most important decisions the US has made in recent years is to strengthen our relationship with India, including cooperation and coordination on defence matters,” said Crowley, former co-chair of the House India Caucus. 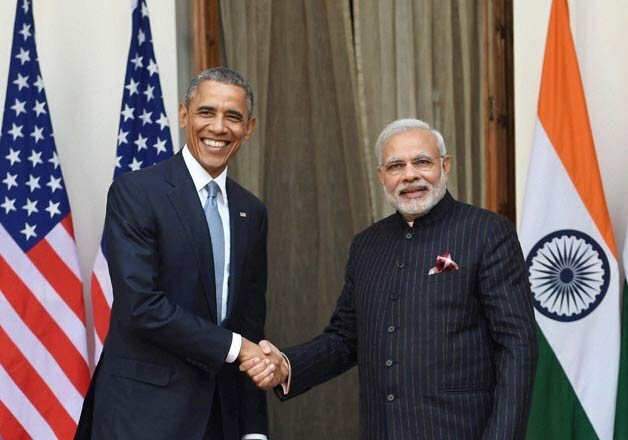 “The US-India partnership will define the South Asia region and beyond for years to come. Front and centre in this critical partnership is our increasing defence cooperation,” said Royce, former co-chair of the House India Caucus. “With the emerging challenges the United States and India both face in the Indo-Pacific region and across the globe, it is essential we strengthen the defence partnership and cooperation between our two nations,” said Holding.